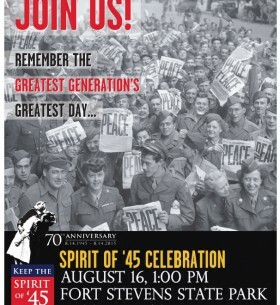 70th Anniversary – Spirit of ’45! 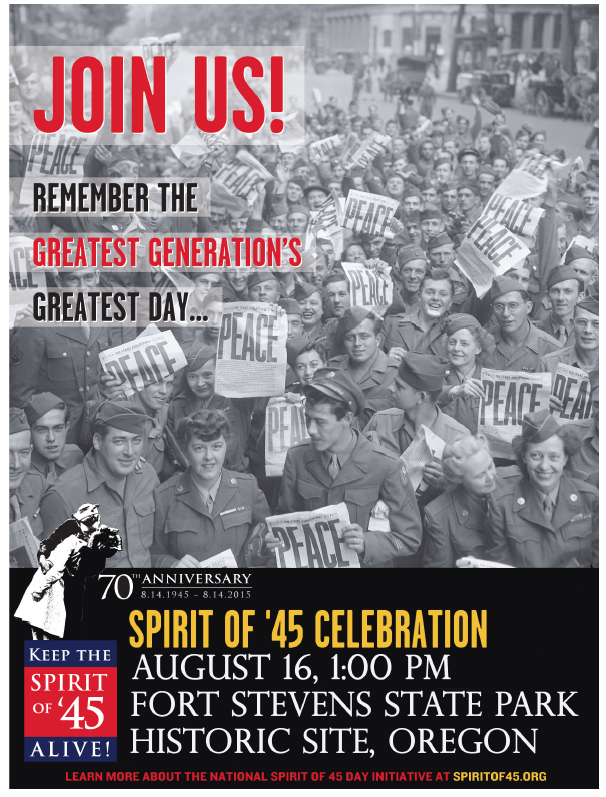 Join us to remember the Greatest Generations’ Greatest Day! Come to Fort Stevens State Park on August 16th at 1 PM! Select here to download the pdf.